WHAT? Our explorer teachers will lead a two-hours of fun Spanish workshop in which children will do interactive exploratory tasks in the museum and some other activities in the museum classroom. 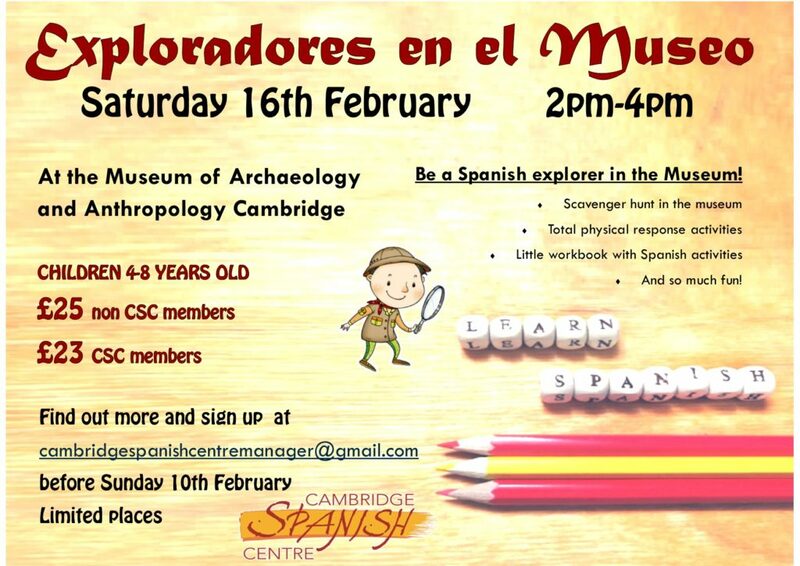 The main aim of this workshop is for children from short age (4-8 years old) to learn Spanish in an interesting and enriched environment such as The Museum of Archaeology and Anthropology Cambridge. It is the perfect excuse to learn Spanish, it is the perfect excuse to visit the Museum! No previous knowledge of Spanish needed, only your explorer instinct and tons of enthusiasm to enjoy this workshop and have fun in the museum! All materials will be provided.